That’s what my aunt said to me when I told her I tried to make her soup recipe — with a few modifications. 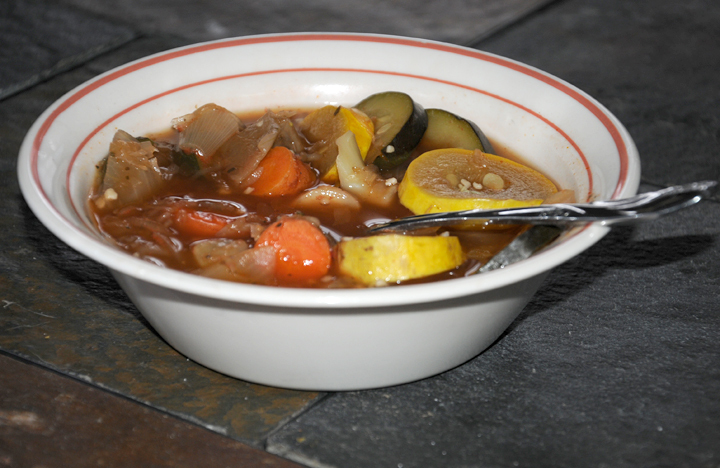 She sent me the recipe yesterday, explaining it was delicious and, even better, very low calorie. I’m willing to they anything that fits that description. In large pot- spray bottom with nonstick spray. Saute first 4 ingredients for 10 min.or until turnips are el dente. 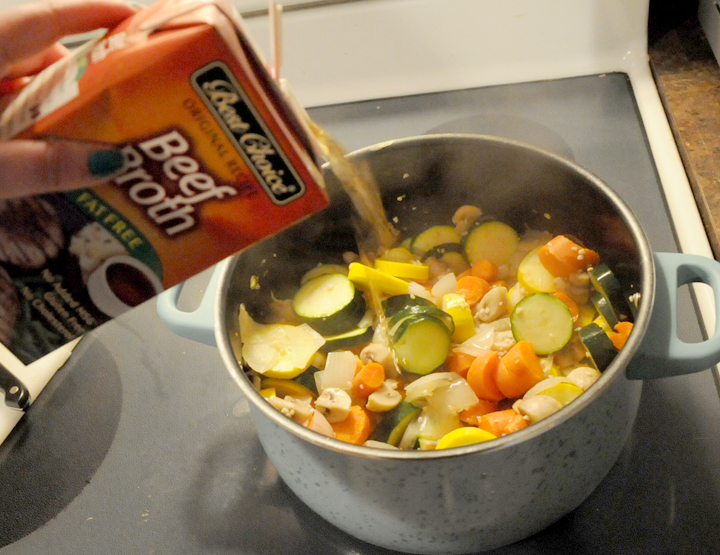 (use some of the broth if necessary to keep from sticking). While sauteing, prepare next 4 ingredients and combine in bowl. When turnips are ready, add broth, cabbage mixture, oregano, basil,salt and pepper. Bring to boil over med heat. Add Zucchini and simmer another 10 min. 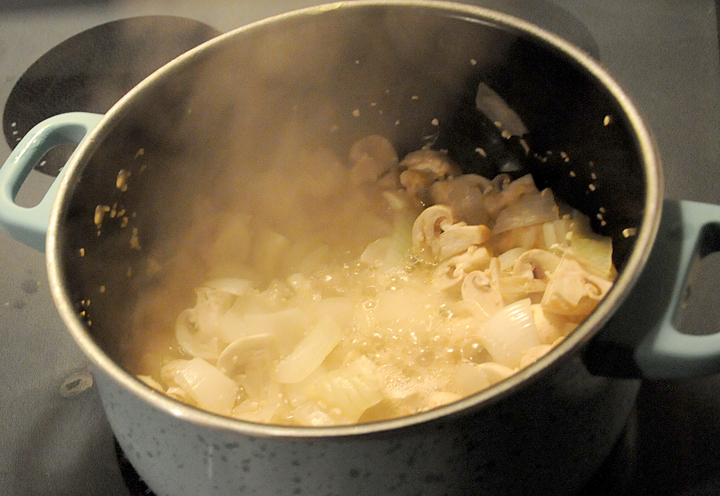 Saute onion (cut into large chunks) in a large pot with 1/2 cup of beef broth and garlic. Add mushrooms. I’ll have to compare it to the original recipe next time I go home, but I was repay happy with how it turned out. It is super-healthy and filling. 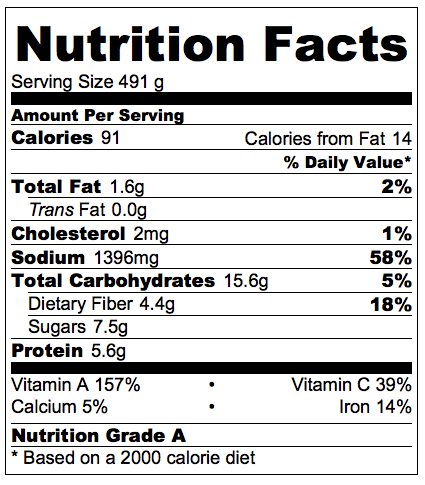 The only down side is that it is pretty high in sodium (thanks to the sauerkraut and tomato sauce). This makes a LOT of soup. I’m guessing about 12 1-cup servings. (The nutrition label is for 10 servings). I had some last night and will have some for dinner tonight. The rest I am going to put in single-serving bags and freeze for quick meals when I’m in a hurry.